Creators of a fake dating site have taken personal information from 250,000 Facebook profiles - and reproduced it without the knowledge of the members of the popular social networking site. Lovely-faces.com uses the names and photos of Facebook members and then gives users the option to 'arrange a date' with the unsuspecting volunteers - which leads them to the original profile page of the person. The unwitting people have been grouped into smarmy categories, such as 'Smug Women' and 'Climber Men', on the site - which is apparently an art project to highlight the dangers of social networking sites. Users can also vote to decide what each person is like and rate how 'cool' they are. The creators, Paolo Cirio and Alessandro Ludovic, have tried to justify their actions by claiming that the site is a merely a bid to magnify the breach of privacy permitted by Facebook. 'Facebook, an endlessly cool place for so many people, becomes at the same time a goldmine for identity theft and dating - unfortunately, without the user’s control. But that’s the very nature of Facebook and social media in general,' a statement on their website said. 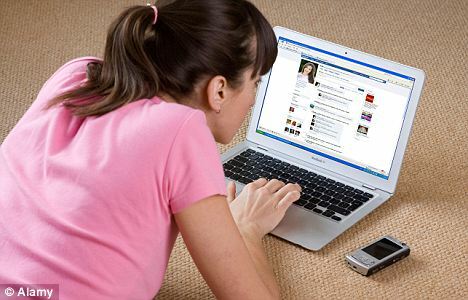 However, bosses at Facebook have hit out at the 'scraping' of profiles - taking information available from members who haven't adjusted their security settings to block non-friends seeing what they post - on their own site and said they will 'take appropriate action'. 'Scraping people’s information violates our terms. We have taken, and will continue to take, aggressive legal action against organisations that violate these terms,' Facebook’s director of policy communications, Barry Schnitt, told Wired.com. In total, the public profiles of more than a million Facebook users were gathered, claim Cirio and Ludovic.